For some time now, Planner has allowed you to organise your story cards by tagging them with hashtags. We chose to use hashtags because they’d help us to keep Planner’s user interface clean and simple, and for the most part they worked well. It’s become clear that hashtags have their limitations, so we’ve replaced them with a more typical tagging interface. It’s difficult to understand what the cards in your backlog represent at a glance. 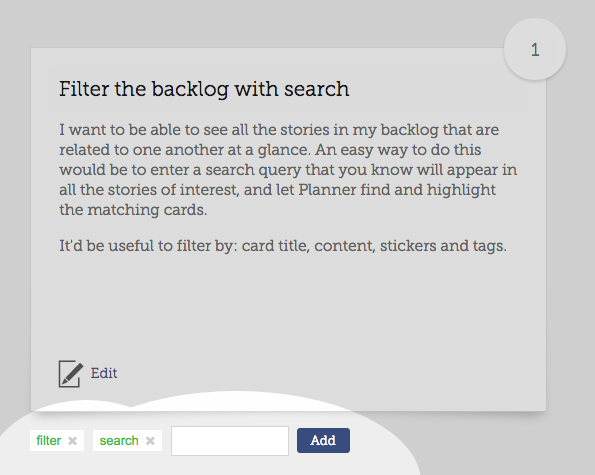 Allow people to #filter the cards in the backlog by typing a snippet of text that matches their stories’ title or content. 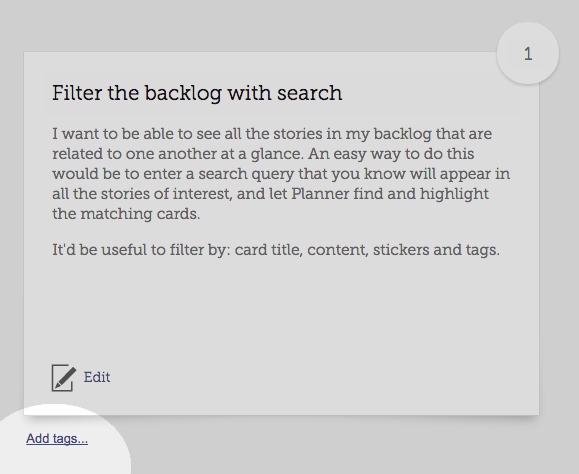 If we later decided that we wanted to rename the #filter tag to #backlog-management, Planner would need to edit our story text. Unfortunately “Allow project managers to #backlog-management the cards…” doesn’t make any sense! So you can’t automatically rename hashtags. It’s very simple. 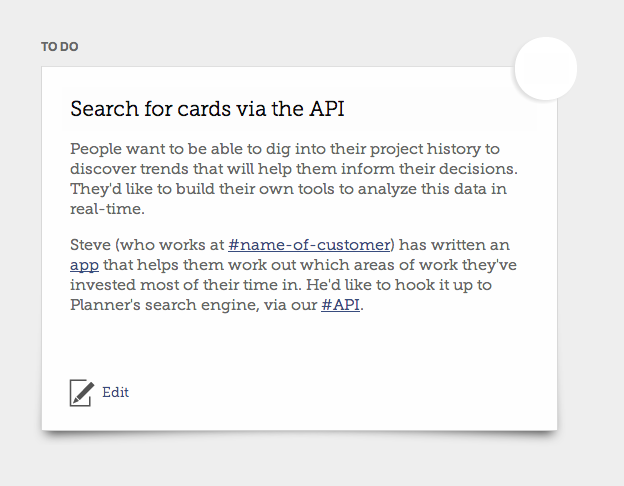 There’s a new “Add tags…” link beneath each story card. Click it to add a tag. Clicking the tag’s name will show you all the cards that use the tag.